Renu in a snap! Renu is the smart new line of decorative electrical products from Leviton. Install Renu and get a fresh stylish look, plus the ability to change the color of any Renu device when you update a room. Designed for do-it-yourselfers, the line includes switches, outlets, GFCIs, dimmers, and sleek, screwless wallplates available in 20 designer colors to blend in or contrast with your decor. Refresh the color of any Renu device in a snap, without any rewiring or the need for an electrician. Just order a face plate in the color you want, snap off the faceplate on the device and snap on the new face. Add a coordinating wallplate (sold separately) to finish the look. Renu fits your lifestyle and adapts to your changing taste. Base Unit for 15A Receptacle (Face and Wallplate not Included) Renu in a snap! Renu is the smart new line of decorative electrical products from Leviton. Install Renu and get a fresh stylish look, plus the ability to change the color of any Renu device when you update a room. Designed for do-it-yourselfers, the line includes switches, outlets, GFCIs, dimmers, and sleek, screwless wallplates available in 20 designer colors to blend in or contrast with your decor. Refresh the color of any Renu device in a snap, without any rewiring or the need for an electrician. Just order a face plate in the color you want, snap off the faceplate on the device and snap on the new face. Add a coordinating wallplate (sold separately) to finish the look. Renu fits your lifestyle and adapts to your changing taste. 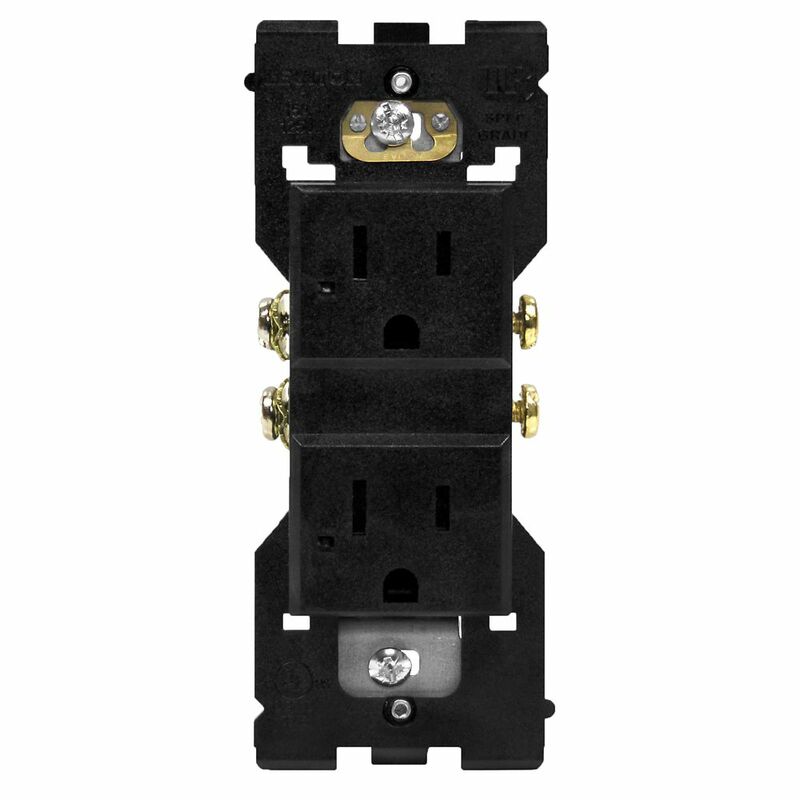 Base Unit for 15A Receptacle (Face and Wallplate not Included) is rated 4.0 out of 5 by 1. Rated 4 out of 5 by zoom from Interesting product I'm not sure how often I'd want to replace my plugs just for aesthetic reasons but this product makes it simple.